Foreign Affairs Minister Gebran Bassil met on Monday with his Russian counterpart Sergei Lavrov in Moscow. 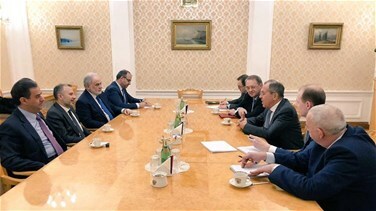 Talks reportedly tackled the bilateral relations and issues of common interests. Earlier, Bassil arrived in Moscow to partake in the 5th edition of the Arab-Russian Cooperation Forum. He is set to give the conferees a briefing on the dossiers related to the return of Syrian refugees and to support the Lebanese stances in this regard in International platforms.